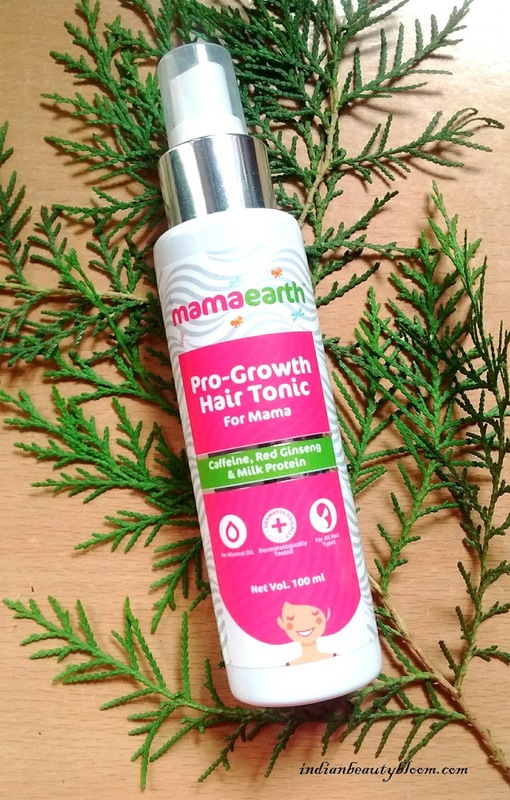 Back with some more product reviews from brand Mama Earth . 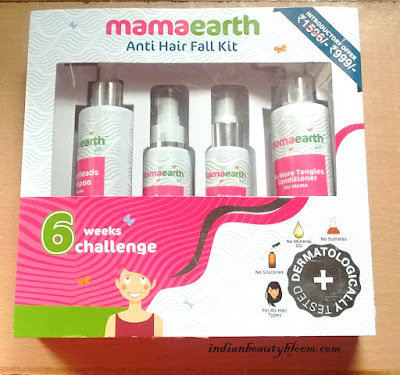 Today I am going to review it’s Newly Launched Anti Hair Fall Kit . 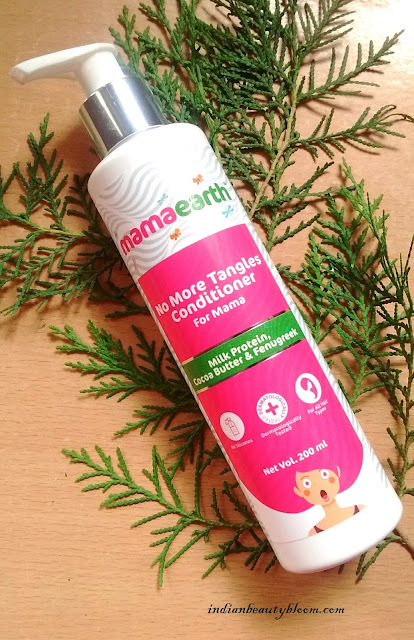 Mama Earth is one of the most promising brand which has come up with several good products for babies & mama’s . I have tried almost all it’s products and found them too good . The price of this kit is Rs 1596 , Now as an introductory offer it’s available at Rs 999. 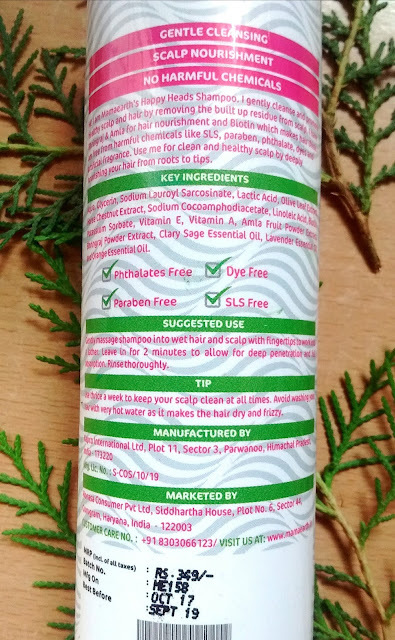 This shampoo contains some great ingredients like Amla fruit powder extract , Bhirgraj Powder extract , Vitamin A, E , Olive leaf extract , Lactic acid , Lime Oil Etc. It thoroughly cleanses the hair and scalp . Price Rs 349 for 200 ml . It contains Cocoa Butter , Shea Butter , Milk Protein , Tea Tree Oil , Argan Oil etc . So all good ingredients which makes hair soft & silky . It moisturizes dry & brittle hair , Controls Frizz , also helps to detangle hairs so no breakage while combing . 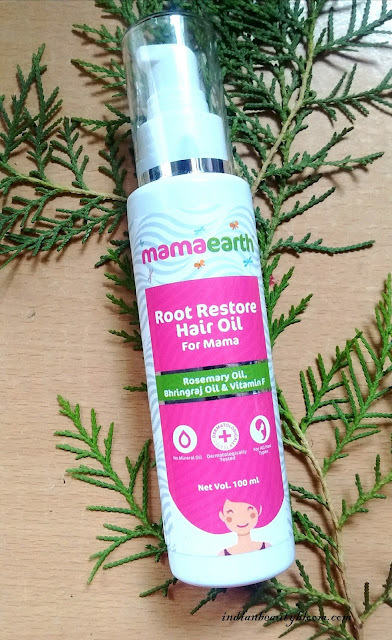 It a mix of several good oils like Coconut oil , Olive Oil , Orange Oil , Almond Oil , Rosemary Oil , Jojoba Oil , Cinnamon Bark Oil , Vitamin E .
It Nourishes the hair and controls hair fall . It strengthens the roots and repairs damaged hairs . 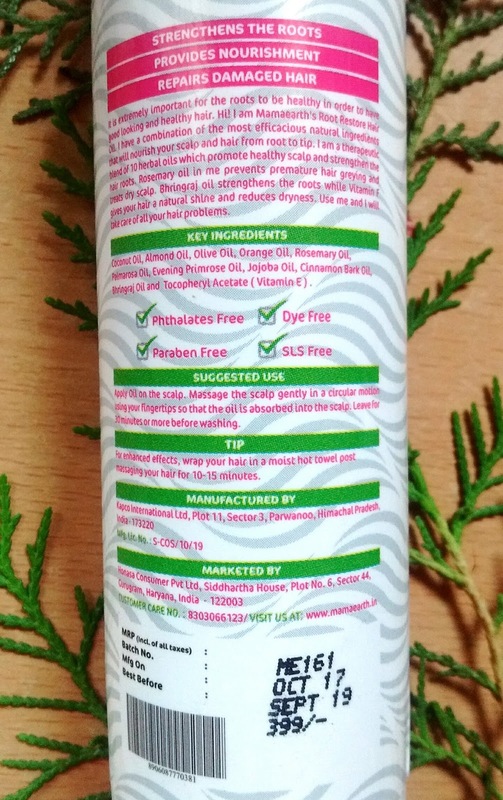 One needs to massage this oil gently on scalp and leave it over night or half an hour before shampoo . Price Rs 399 for 100 ml. It Contains Caffeine , Zinc PCA , Potasium Sorbate , Sodium PCA etc . One needs to apply this directly on scalp daily and gently massage into scalp with finger tips . Results occurs after six week of daily use . It strengthens hair roots , reduces hair fall and improves hair density . Price : Rs 499 for 100 ml. 1. Contains four excellent products for complete hair care . 2. 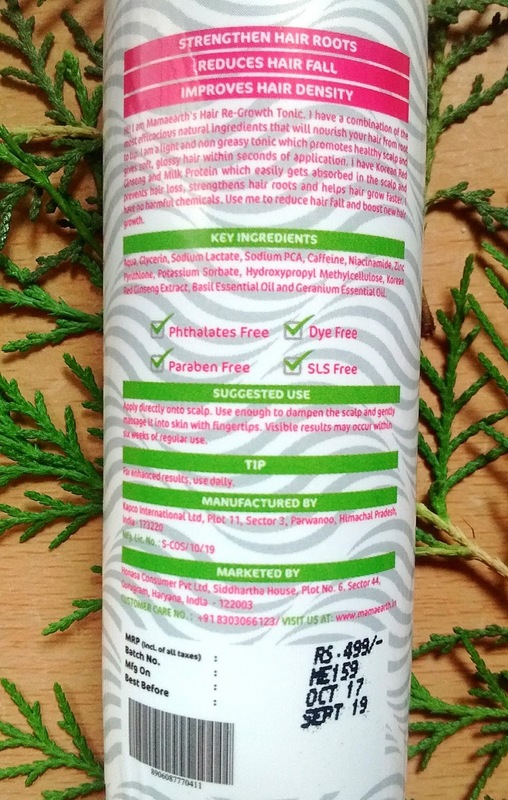 Free of Sulfates , SLS , Paraben, Synthetic color , Artificial Fragrance ,Mineral Oils . 3. All the products have excellent ingredient list . 4. Product Packaging is good and impressive . 5. Contains Natural & Organic Bio actives . 6. Helps to control hair fall . 7. Conditioner makes hair soft & smooth . 9. Suitable for all hair types . I am using these products past few days and they are all good . 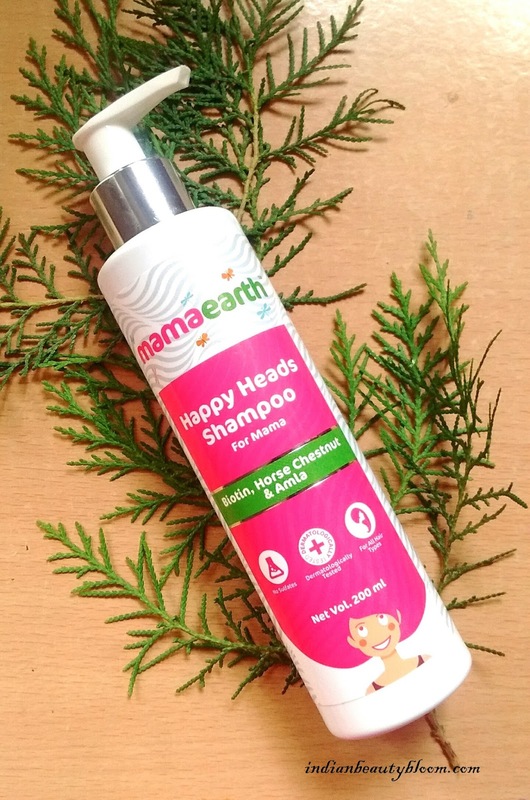 Shampoo is a Gentle one which thoroughly cleanses the scalp . 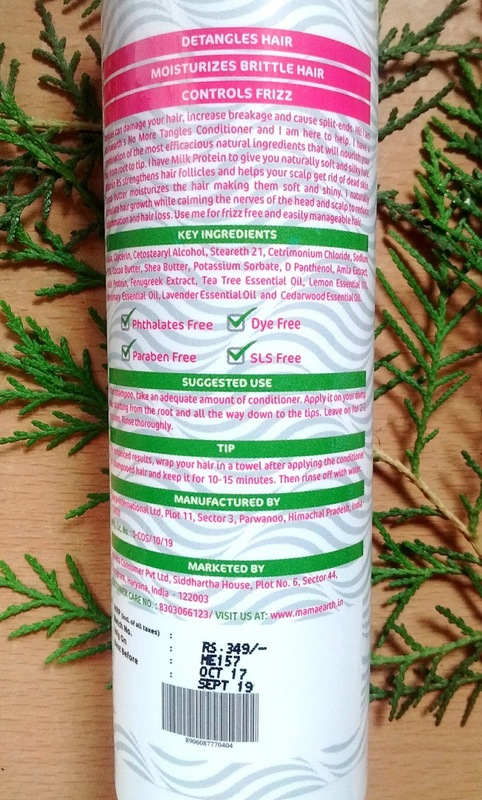 Conditioner is thick & creamy and makes hair soft & smooth . Hair oil is excellent one as it’s blend of several good oils . Tonic is a New kind of product for me and it’s good . Since I have not used it for complete 6 weeks now can’t comment on it’s Hair Fall Control Claims , But Seems promising & good . Can come up with more details after some more time .